 Below, please find a transcript of our Fly/Cruise webinar. For more information on our Fly/Cruise expeditions, click here. Slide: Fly Cruise is your fast pass to the polar regions. Today, we’ll be discussing Fly-Cruise Polar Expeditions, an exciting way to visit the Polar Regions quickly and easily. 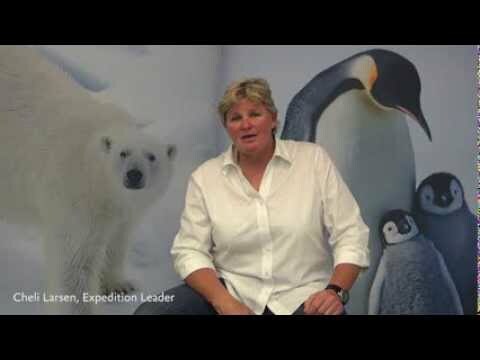 Slide: What is a Polar Fly/Cruise Expedition? On Fly-Cruise Expeditions you cross ocean passages by plane instead of by sea. Basically, you get to your destination in less time, saving valuable time you can then spend enjoying your polar adventure, rather than in transit. This means, in just seven to 11 days, you can have those iconic experiences like cruising around icebergs, catching photos of polar animals in the wild, hiking ice beaches or alongside glaciers, and tons more. You can fit all of that adventure into well under two weeks. To some travelers of course, making that ocean crossing is a rite of passage. En route to Antarctica, we cross the Drake Passage, a journey that typically takes 1.5 to 2 days each way. 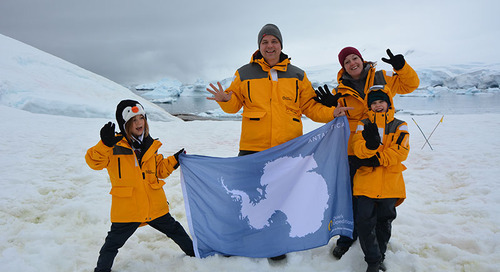 For some, a trip to Antarctica wouldn’t be complete without that experience. But for others, it’s not such a big deal. Maybe you’d rather spend that time in the South Shetland Islands, or exploring the Antarctic Peninsula itself. Traditionally, Arctic cruises involving both Iceland and Greenland require passage of the Denmark Strait but again, you can enjoy a comfortable charter flight instead. That’s the beauty of these Fly-Cruise expeditions. Fly/Cruise vs. Traditional Polar Expedition? If you’ve been on a traditional polar expedition, or you’re wondering whether to take that option or go the Fly-Cruise route, here’s what sets polar Fly/Cruises apart. The Fly-Cruise option is also great for those leery about becoming seasick on an extended ocean crossing, or are apprehensive about that much time at sea. You have the option to head straight to the exploration part, skipping the longer ocean crossings all together. On the plus side, skipping the ocean crossing can really amp up the intensity of the trip. 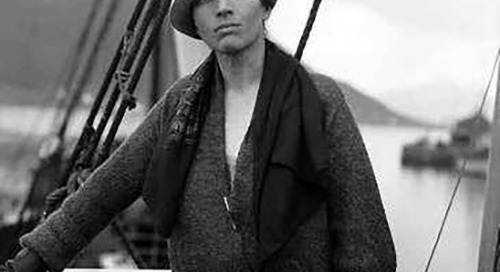 Some travelers appreciate a few extra days at sea, with some time to mentally prepare for their expedition. 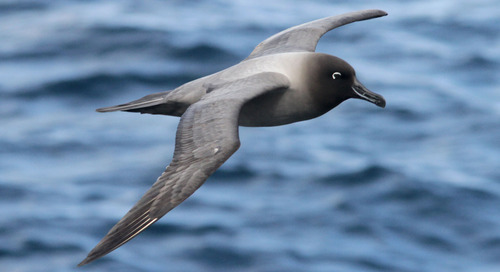 But others have told us that the adventure of flying over the Drake Passage and landing on King George Island was incredibly exhilarating and so worth it. So it really depends on if you prefer a slow build, or an intense rush! When you skip the ocean crossings it feels like right you’re exploring right away. You spend a lot of time Zodiac cruising, on the lookout for polar wildlife and photo opportunities. The expedition team is busy every waking moment searching for the next big adventure, the next wildlife sighting. There’s no time to waste. Another unique aspect of Fly/Cruise is the fact that you have a bit more timeline flexibility to customize your overall vacation experience. Because you save time getting there and back, you could spend a few extra days in Santiago or Buenos Aires. You might add a trip extension to Easter Island, to explore its famous statues and volcano. 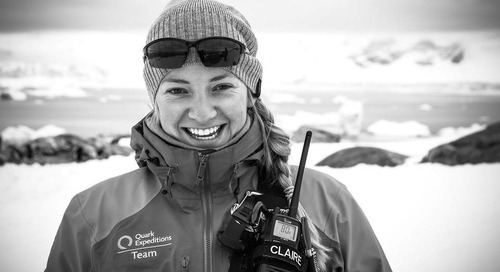 Planning a polar expedition is a BIG DEAL, right? It’s not unusual for people to spend months mapping one out. And if you’re going on a two-week journey or longer, that certainly warrants the careful research. Fly-Cruise expeditions take the legwork out of planning a polar expedition, so you can fit it into the limited time you have to escape. In fact, you can even go on short notice. Our expeditions pack lots of activity into just a short time, making it an exhilarating way to explore the Antarctic and Arctic regions. Since there are no commercial airlines flying to the remote destinations where you’ll board the cruise ship, we’ve arranged charter flights from major airports to get you there. And, there’s a great selection of itineraries, departure dates, ships and experiences for you to choose from, so that’s really where you can focus your efforts: on making sure you get what you really want out of your expedition. Slide: Due North or Due South: Where Are You Headed? And your first major consideration is going to be this: Up or down? Which way do you head? There are two major polar regions on earth, both incredibly remote, and each offering an entirely different adventure. Let’s start with the Arctic – it’s not one land mass, or even a single country, but a massive region at the top of the world that spans one-sixth of the area of the earth. 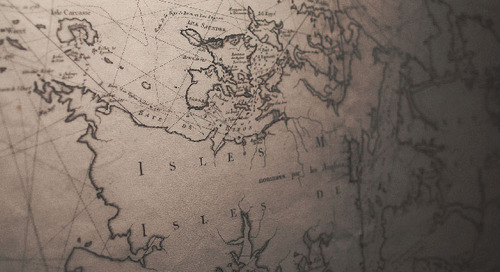 Unlike Antarctica, most of the Arctic is water, and – even MORE unlike Antarctica – areas of it have been inhabited for thousands of years, so there is more opportunity to explore Arctic culture. And on the other end of the earth, Antarctica. The seventh continent is a land mass surrounded by water, and delivers big-sky adventure in so many ways. Snow-capped mountain peaks make the perfect backdrop, as you cruise ice-choked inlets around stunning blue icebergs while watching seals and penguins play on the icy beaches. It can truly be a transformative trip. Let’s talk about the Arctic for a few minutes. About four million people live north of the Arctic Circle at 66 degrees north, spanning Canada, Denmark, Greenland, Finland, Iceland, Norway, Russia, Sweden and the United States. The Arctic is also home to polar bears, walrus, seals, musk oxen, whales, reindeer and more. Our Fly-Cruise expeditions take you to Greenland, the ultimate destination for experiencing an iconic Arctic adventure. We trek there in the summer, when the Arctic is surprisingly hospitable. Wildlife are active, the hiking is fantastic, and you might even be treated to an amazing Northern Lights show. You’ll visit the world’s largest fjord system AND the most northerly national park on the planet, spending your days Zodiac cruising and hiking, on the lookout for wildlife. You’ll get a chance to learn more about the Inuit way of life visiting authentic Greenland communities, and exploring virtually untouched, historic Thule settlements. And you can do all of this in just 10 days with a Fly-Cruise. You fly the Iceland capital city of Reykjavik and get to Greenland in just a few hours, saving you one night and a full day of time at sea. All the way at the bottom of the world, we have Antarctica, a land mass covered by 90% of the world’s ice. Our Fly-Cruise expeditions take you to the Antarctic Peninsula and outlying South Shetland Islands. Visiting the seventh continent is an incredibly personal and often transformative experience. Antarctica was only discovered in the last few hundred years, and there are no permanent inhabitants. The sheer size and scale of the mountains, icebergs and inlets are awe-inspiring. Animals aren’t as diverse or abundant in Antarctica, but the penguins really are the stars of the show. If you take a Fly-Cruise in November or December, the penguin population is incredibly active, as they’re breeding and nesting. Icebergs are sharp and crisp, and the ice-covered beaches are unbelievably white. In January and February, you might get to see penguins with their young. That’s also a good time to go whale-watching, hike the tundra and, depending on the expedition you choose, explore the region by kayak. You can even camp out for a night. Our Fly-Cruise expeditions lop off two days travel time each way. That’s four days you don’t have to spend at sea. 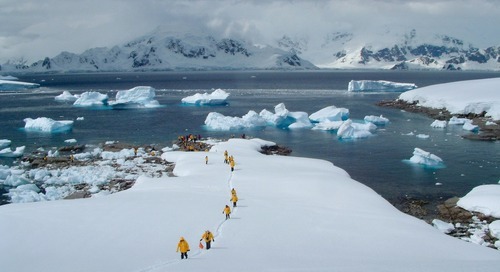 All passengers fly from Punta Arenas, Chile, on a charter flight to King George Island in the South Shetland Islands. Next, I wanted to Let’s talk for a minute about what a day is actually like onboard a Fly-Cruise expedition. Our Antarctic Fly-Cruise expeditions each embark from King George Island in the South Shetland Islands, then explore the Antarctic Peninsula and Lemaire Channel. En route from King George Island to the Antarctic Peninsula, you’ll enjoy presentations by the onboard polar experts. You can read up on the area’s geology, history or wildlife in the polar library, get to know your fellow passengers, or start your journal. Whatever you need to do to mentally prepare for Antarctica, this is the time. Once you reach the continent, expedition staff is out bright and early, scouting landing sites and preparing equipment for the day. You head out each morning for activities (weather permitting, of course) – you might be cruising in a Zodiac through ice-choked inlets or visiting a pristine Antarctic beach. Then it’s back to the ship to break for lunch. By afternoon, you venture out again, perhaps to hike a small peak or watch penguins steal pebbles from each other’s nests. One afternoon, you might find yourself sitting stunned in complete silence in your kayak gazing at a giant wall of ice. The only thing that’s for certain is that you can expect the unexpected – that’s what makes the polar regions so incredible. Onboard, you’re completely free from the demands of your everyday life. You’ll have chef-prepared meals, daily housekeeping, and polar experts planning your every adventure. Your only job is to have fun. So, now that you have an idea of what a typical day on a Fly/Cruise might feel like, we come back to the question—due north or due south? Let’s take a look now at the itineraries, and the type of experience you can expect from each one. Next, we’re going to talk about our 2 incredible Antarctic Fly-Cruise itineraries on a choice of 2 ships with 11 departures, and one unique Arctic itinerary with 3 departures. Earlier in the season, you have two distinct 8-day options onboard either Island Sky or Sea Adventurer. The 8-day Sea Adventurer departures are great choice if you want to personalize your trip a bit more with pre-post expedition trips to adjacent regions. For example, if you’re interested in venturing to Patagonia pre or/post your Antarctic expedition, flights can be easily customized and booked to suit your schedule. Our 7-day Antarctic Express: Fly the Drake expedition on the all-inclusive Island Sky is the fastest way to see Antarctica. If you’re short on time but still want to have those iconic Antarctic experiences with a comfortable, all-inclusive home base to return to each night, you’re going to want to check out Island Sky. With all of these expeditions, by the way, you’re getting emergency evacuation coverage, a robust flight contingency plan, an expedition parka, in-depth programming, and pre-embarkation accommodation. Our premium expedition ship, it accommodates just over 100 passengers and has that intimate atmosphere you just don’t get on large ships. It’s roomy upper decks and bright, airy public spaces give you terrific views of the spectacular landscape. With Island Sky, your onboard experience is all-inclusive, and your domestic flights from Santiago to Punta Arenas are included as are gratuities and a full beverage package. 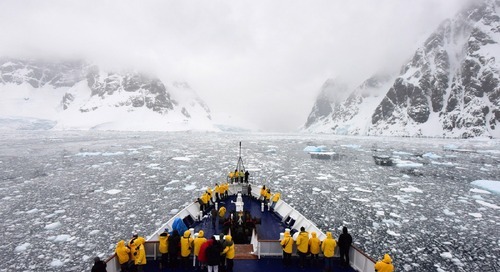 Antarctic Express: Crossing the Circle is our longest Fly-Cruise expedition and at 11 days, gives you incredible opportunities to explore all the way from the South Shetland Island to further south down the Peninsula, past the Lemaire Channel and right into the Antarctic Circle. 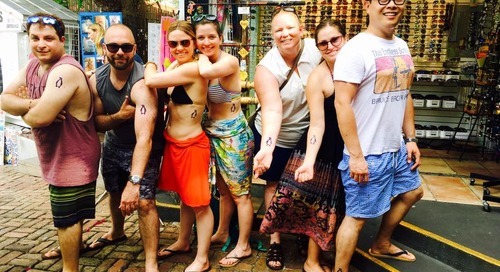 You’ll enjoy in-depth learning opportunities and a fast-paced, action-packed itinerary. 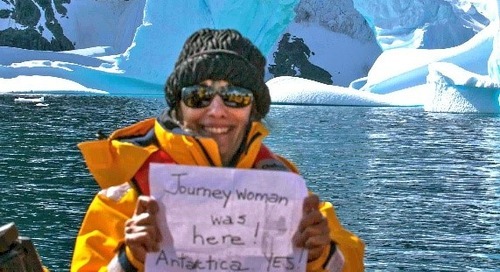 And the milestone of crossing the Antarctic Circle itself is in an indescribable and awe-inspiring thrill. This Sea Adventurer voyage departs on December 20, 2017, and with this expedition, you can choose to add kayaking or even camping out for a night on the Antarctic Peninsula as adventure options. Flying both ways between Punta Arenas, Chile, and King George Island means you’re taking three to four days at sea off the schedule, giving you that much more time to hike the peninsula, cruise in search of whales, and drink in the pristine wilderness. Arctic Express: Greenland’s Northern Lights is a 10-day expedition from Iceland to Greenland’s lush and diverse eastern coast. If the far north is more your style, you can fly from Reykjavik to Constable Point, Greenland, where you’ll embark on an exploration of the world’s largest fjord system, fascinating Inuit settlements, and Greenland’s National Park aboard our smallest and most nimble expedition ship, Ocean Nova. 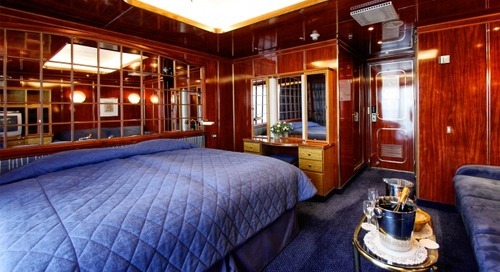 Every cabin boasts exterior views, and there’s a spacious glass-encased observation lounge to keep you right in the middle of the action as you sail by towering mountain ranges and massive icebergs. Ocean Nova accommodates just 66 guests, making each expedition a truly intimate and personal exploration of the Arctic. Slide: Where do Fly/Cruises depart from? The vibrant South American city of Punta Arenas, Chile, is the jumping off point for all Antarctic Fly-Cruise expeditions. If you choose an all-inclusive Island Sky expedition, your domestic flights between the international hub of Santiago, Chile, and Punta Arenas, are included. If you’re taking a Sea Adventurer Fly-Cruise, you are free to customize your vacation and book your own flights, with add-ons like extra days spent in Santiago or the region of Patagonia. From Puntas Arenas, a comfortable charter flight will whisk you over the Drake Passage to King George Island, shaving a day and a half to two days off your time at sea. 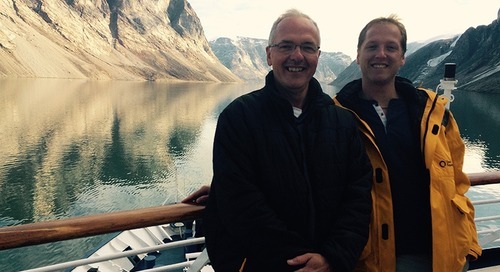 Arctic Fly-Cruise passengers will spend a night in Reykjavik, the capital of Iceland, before taking a charter to meet their expedition at Constable Point, Greenland. As you’ve been listening, a few questions may be popped into your head. Let’s start by taking a look at some of the questions people have about the Fly-Cruise experience, but at the end, you’ll have an opportunity to ask your own questions as well. Will I miss out on anything by choosing a shorter program? If you’re worried that skipping at-sea time means you won’t get as rich an educational experience onboard, you have nothing to worry about. We strive to provide an excellent and in-depth educational program, often with the people we call our “experts in residence” lecturing and giving presentations. There are marine biologists, ornithologists, and glaciologists who may join us onboard to do their research and work in the polar regions. You’ll also participate in educational programs led by our experienced Expedition Staff, who provide immersive experiences on shore landings as well. You’ll still experience everything the polar regions have to offer: you’ll just do it in less time! What activities are available for me to participate in? On every voyage, you can go on Zodiac cruises, participate in hikes of varying levels of difficulty, take in the scenery and watch for wildlife photo ops. Sea Adventurer is fully equipped for kayaking adventures, complete with top-of-the-line kayaks, paddles, drysuits, booties and PFDs. And if you choose “Crossing the Circle” you’ll, have a chance to camp out for a night on the seventh continent. And in the Arctic, you can go kayaking in Greenland from Ocean Nova. Why do Fly-Cruise expeditions cost more and what value do I get for it? The higher price point for these voyages—Antarctica in particular--is really associated with the convenience and time saved when you skip crossing the Drake Passage by sea. Many of our past passengers have chosen this voyage type to avoid the risk of being seasick during the ocean crossing. Also-commercial airlines don’t service these remote locations, so we’ve done the work of planning the safest and most comfortable ways to get travelers there, by comfortable charter flight. Are charter flights ever delayed? The likelihood of a cancelled flight is incredibly low. Occasionally, there may be delays, so we’ve included pre- and post-expedition accommodations. We live at the whims of the weather conditions, and that’s part of the excitement of expedition travel! Every passenger gets $500,000 emergency evacuation insurance included in their booking, and we strongly advise that you book trip cancellation, interruption, and baggage travel insurance, too. We recently adopted TripMate as our preferred travel insurance provider, thanks to their simple but comprehensive coverage options. To learn more, please contact a Polar Travel Adviser. --Consider what type of experience you want to have…Is the convenience of flying over ocean crossings a priority for you? --Or do you think you’d enjoy a few extra days relaxing at sea, while mentally preparing to see Arctic or Antarctica? --Are you attracted to the idea of spending some time before or after your polar expedition in Santiago, Patagonia or Rekyavik? And now I wanted to share a few more resources that may help you answer these questions. If you’re still a bit curious what it’s actually like to go on a fly/cruise, you should check out our blog. 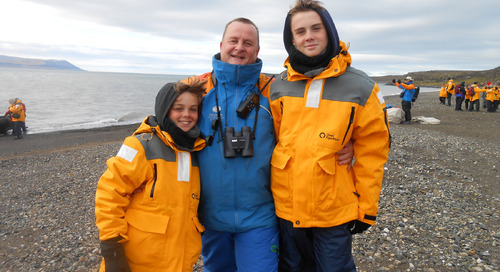 We have a bunch of great stories and interviews with past passengers who have travelled with us to Antarctica and Arctic Fly/Cruises. It’s always great to hear reviews in the words of travelers just like you! As a second step, we’d also recommend downloading our Fly/Cruise, as it’s a great resource to help you start planning. It recaps a lot of what we just discussed, plus more details like dates and rates. You can find it on the brochures page of our website, but we’ll also send you a link to it in our follow-up email. Slide: Book Your Adventure Now! OR, if you are already eager to get this vacation booked and take advantage of some of our current promotions, feel free to reach out to myself or one of our polar travel advisors. We’ve all been to the polar regions (and we are extremely passionate about them) and can provide tips and advice to help you find your perfect polar expedition.